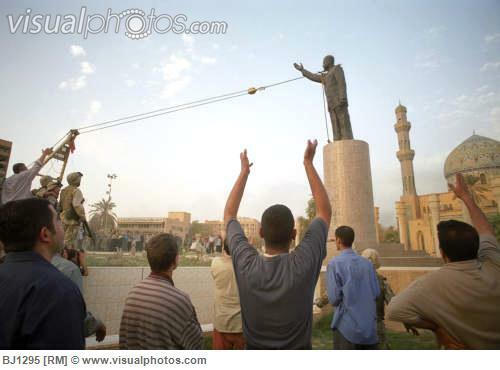 Hopes were high the day this statue fell in Baghdad. Wow, it is truly hard to believe that it has been 10 years this month since then Pres. Bush decided to roll the dice with the national destiny and invade Iraq under the pretext of WMD. So much has happened to both the soldiers who served their and to the nation as a whole since that time. The big question that will always be asked of the Iraq War is was it worth it? The answer not surprisingly is quite complex. Below is a list of some of the people and events that were central to the Iraq war and how they should be remembered. Obviously Bush carries the most responsibility for the war. I think the most generous statement one could make about his leadership of the war would be something to the effect that he was completely naive about what he was getting himself and the country into. To say that he was given bad information by the subordinates he appointed would be an understatement. He was completely clueless as he hurled the nation into the war and seemed to remain that way until the 2006 congressional elections. Which upon being whipped by the democrats he finally began to take personal responsibility for the war by dumping Rumsfeld and his loser strategy in Iraq. The result was The Surge which Bush and those responsible for should get a lot of credit. Having said that its hard to give too much credit to a president that was in essence only fixing what he had originally made a mess of. Before Cheney served as vice president I used to respect him, however, it seemed almost from his first days as vice president I found myself thinking who is this guy? Unfortunately for me and the nation as a whole that feeling would only grow. Of all the individuals to come out of Iraq looking like a loser probably only Rumsfeld looks worse than Cheney. Remember the fuss about the Bush administration manufacturing intelligence to justify the invasion of Iraq? Well Cheney played a lead role in that effort. He was even called out for it in a little read article about it prior to the war that said in clear language that Cheney had pressured intelligence analysts to produce more favorable reports that would justify war. Then his unflinching support for Rumsfeld and his horrible strategy of not enough troops to stabilize the country cost the US and Iraq thousands of dead and billions of dollars wasted. For these crimes of incompetence he will always be branded a loser. The man most responsible for Iraq becoming the disaster that it was. This was the man who initially only wanted to invade Iraq with around 75,000 soldiers (there were roughly about 132,000 in Iraq the day the statue fell in Baghdad). Also remember that Rumsfeld the omniscience refused to acknowledge that there even was an insurgency until finally in a pentagon news conference in August of 2003 newly appointed Centcom Commander Abizaid admitted that there was an insurgency. Rumsfeld also had a real problem for putting people in key positions whose only qualifications were that they consistently agreed with him. The list of bad generals that Rumsfeld personally picked is quite long but the more impressive fact is that he often had to go out of his way to find these losers by appointing them before they were ready (Gen. Sanchez). Or calling them out of retirement and put them into positions they were not suited (Gen. Schoomaker). Or last but not least appointing someone who was obviously incompetent and whose only qualification was that would not tell him no (Gen. Casey). There are more generals, as a matter of fact someone could write a book on Rumsfeld’s horrible appointments. But the number one issue that Rumsfeld should be remembered for is it was his strategy (the less is more strategy) and concept that technology had replaced the need for large numbers of ground troops that led America to near humiliation in Iraq. Suffice to say that a legitimate case could be made that Donald Rumsfeld quite possibly could have been the worst Sec. Def. in the history of the United States, what a loser. To me Powell is a real wild card in the whole tragedy that was Iraq. On the one hand I always had the sense that he probably had no desire to invade Iraq but he thought he could do the country more good by fighting the problem from within. Powell was always the lone voice of dissent in the administration but it appeared that he eventually accepted the idea we would invade Iraq and then decided that it was his mission to make sure it was done the right way (or his version of it) by going through the UN (although his testimony now is looked upon as a career low point because of the discredited evidence). There also was a story done in the run up to the war that showed Powell was greatly concerned about the size of invasion force but in the end there was not much he could do about that from the State Dept. I feel history will ultimately look upon Powell’s role in the war as a man who tried to do what was right but unfortunately for the country was not able to. Rice appeared to be in way over her head in the first several years on the job but some have argued that she found her footing in the 2nd term as Sec. of State. My response to this would be that unfortunately for the nation those years in the first term were very important and those successes that she did have in the 2nd term was her trying to correct problems she bears major responsibility for in the first. Rice, in my opinion, should have aligned more strongly with Powell in thwarting Cheney and Rumsfeld. Unfortunately she decided to play it safe and stay in between the two groups. That decision had dire consequences for the nation. Powell was desperate for allies within the administration to challenge the “dark side”(cheney, rumsfeld), to bad Rice was not up to the job. To give her credit in the 2nd term the reality of the Bush administration’s deteriorating political position evidenced by 2006 elections combined with her new found desire to take on Rumsfeld helped bring about a change in strategy in Iraq and possibly also prevented a war with Iran. But as was already mentioned there will always be the idea of what if Condi would have allied with Powell and challenged the “dark side”? The next post will look at the generals of the Iraq war and their legacies. While the third part will look at the major events from the invasion to the surge. Then finally we will attempt to answer the ultimate question, was it worth it? Thanks for reading. So the last few days have seen overwhelming evidence that China is the origin point for an obscene number of sophisticated cyber attacks against targets in the US. The fact that this is really nothing new begs the question why does China allow this to go on? The answer is simple really. First, it’s very lucrative for the Chinese to steal data that US companies have spent years researching. Second, they keep doing it because they have made the cold calculation that what ever penalty they might incur (so far that has only amounted in some short-term bad press) is not a strong enough reason to stop. In essence American weakness in the form of either no response or only complaining about it in the press has brought this problem from being one of an annoyance to the level of legitimate national security issue. What should be of most concern to the average American is that the US defense establishment seems so in capable of handling this problem. The fact that the US spends more money on defense than the next 10 nations combined (which if we get our money’s worth I’m generally in favor of) yet still hasn’t been able to craft a proper response to this issue should be of the gravest concern. This is one of those situations in life where the bully (China) will not stop unless we punch them back in the nose. With this in mind we should plan on our own massive cyber counter attack the next time the Chinese our caught red-handed for its pretty obvious that they won’t stop until they realize the that the cost is too high. In closing, one other thing to keep in mind is that these cyber attacks are literally a dry run for what the opening phase of a stand-off with China would be like. For the Chinese have not only been caught stealing information they have also been caught playing around with critical US infrastructure like our electrical grid. There is only one reason to be doing something like that and that is to develop the capability to deliver a knock out blow if tensions ever heated up in the future. With this in mind clearly the time for the US to address this challenge is now. Because it is not just cyber attacks the Chinese have been perfecting. 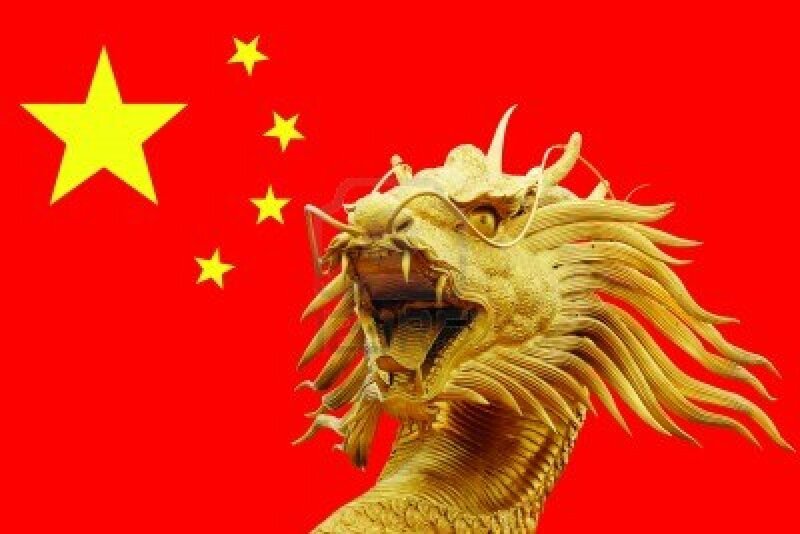 They have also flooded the US military’s supply chain with inferior, counterfeit, Chinese parts, and developed new Chinese weapon systems like the “Carrier Killer Missile” it is obvious that the China is planning for a future confrontation with America. The only question is whether or not America will even be up to the challenge. There has been quite the uproar about the recent decision to open up combat jobs for women including infantry and special operations. We have even debated the subject once already on this site in an earlier post but I thought it might be convenient if I could list some of the bigger reasons why it is a bad idea for women to be allowed into ground combat. First, let me say that I do recognize that women are already in combat and to some degree this new ruling only recognizes this new reality. My real problem with this new ruling is that it will allow women into the infantry where I think their presence and the army’s long track record of accommodating women will combine to compromise America’s military readiness. First, I don’t care anyway you slice it but women are physically weaker than men, period. No matter how hard some people might try to convince you otherwise the facts are they are weaker. Second, even though some “miracles of nature” are out there and a very few could probably pass infantry AIT (advanced individual training) this by no means is a guarantee that they will go on to a successful career in the infantry. This is because of the brutal nature of life in the infantry which will go on to wear down people over time. Constant road marching and patrolling beat the body down over time even in a training environment. Throw in combat into the mix and the stress on the body takes a giant leap. Third, women already suffer from significantly higher injury rates than men. Approximately twice as many women as men get injured now in basic training, but they haven’t even started training to be in the infantry yet. Those numbers come out of the already relaxed basic training environments of Ft. Jackson. Not the home of the Infantry at Ft. Benning. How much worse will the injury rates be once they start training to become infantry? Fourth, in the first gulf war (I can’t give you statistics on the latest wars since the military conveniently decided to not track them this time around) women in the army were 3x more likely to fail to deploy as men when their units were ordered overseas. Its bad enough when support units go to combat undermanned but should we really penalize infantry units with women who are less likely to answer the bell? Fifth, the US Army already has an abysmal record of over 30 yrs. of weakening standards so women can pass. For example, women have a different PT standard than men that is significantly lower than what men are required to do. Training is often weakened to accommodate women which compromises male military readiness. An example of this is combatives training. Because women are being trained to literally fight against men they are trained with male sparring partners and are being hurt so often that the army is looking for ways to tone down the training. Lastly, in an era of shrinking defense budgets when every dollar counts do we really want to pour finite resources into training people for a job that they are just not as well equipped to handle? I think not. Bow Down To The Meat Chopper, Hooah! I came across this awesome story about a weapon system called the “Meat Chopper”, what a great name. Basically the deal is this weapon was originally designed to shoot down low flying German pilots who liked to strafe allied positions during World War II. 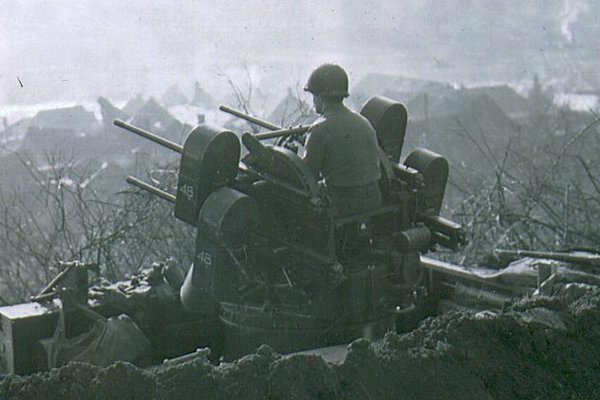 To accomplish this it was designed with four M-2 50 caliber machine guns spinning on a battery-powered turret with the gunner sitting behind some armor plating. Supposedly it was pretty effective at handling the Nazi pilots, but it earned real fame and recognition when it was employed as an anti-personnel weapon. Any of you who have ever witnessed what a single 50 cal. machine gun can do to an object like a vehicle, a brick wall, God forbid a human being (a buddy of mine who frequently used the 50 cal. in Iraq described its effect on a man as “tomato sauce”), can only imagine what four of them mounted on a single turret could do to a platoon of Nazi infantry. Spitting out an insane 2200 50 cal. rounds a minute you can quickly picture the annihilation in your mind. 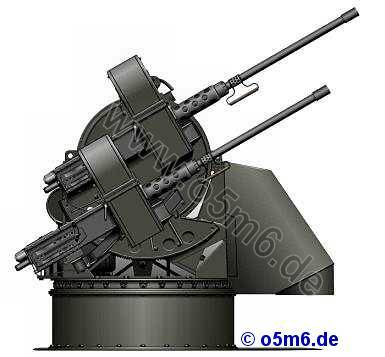 Modern “gatling” style multi barrel chain guns can fire more rounds per minute than the “Meat Chopper” but most are only 7.62, which does not carry anything near the punch the 50 cal. does. The only thing that really seems better than this would be the old Phalanx anti-aircraft weapon, which was a gatling type firing 20mm shells. 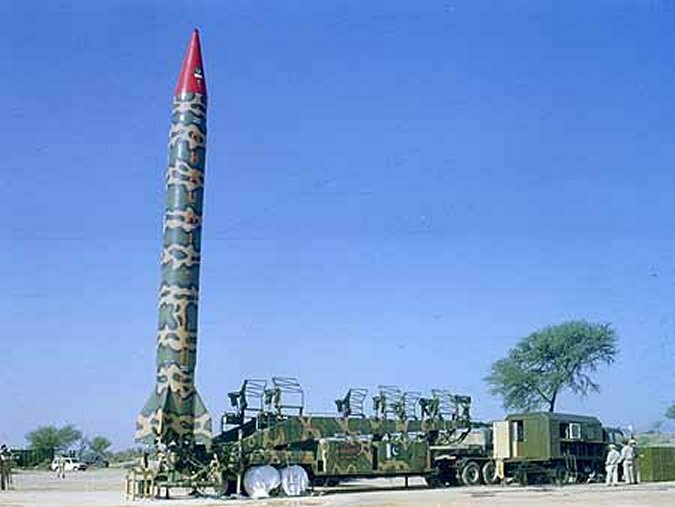 But it was so big it had to be mounted on M-113 so it is not really a fair comparison. Anyways for more info check out the original below at www.Guns.com. Ready to chop some meat. PS. Yes, I do know this really has nothing to do with what this blog is supposed to be about but how can anyone not be interested in learning about a weapon called the “Meat Chopper”. In a move sure to raise tensions with neighboring countries China has announced that it will establish a military base on disputed islands in the South China Sea. Several countries including Vietnam, the US, and the Philipines all denounced the move. The area in question was actually annexed by China after a skirmish with Vietnam back in the 1970’s. What this does signal to the rest of the world is all the Chinese propaganda about a peaceful rise to great power status was only to keep the world at bay while China finished modernizing so it could soon begin to wield its new-found might. The real question becomes what can anybody actually do about the great Chinese land grab that is about to get underway? Unfortunately the answer is not that much. The only country with power to check Chinese aggression would be the US but I would think it highly unlikely that the US would risk an open confrontation over the issue. 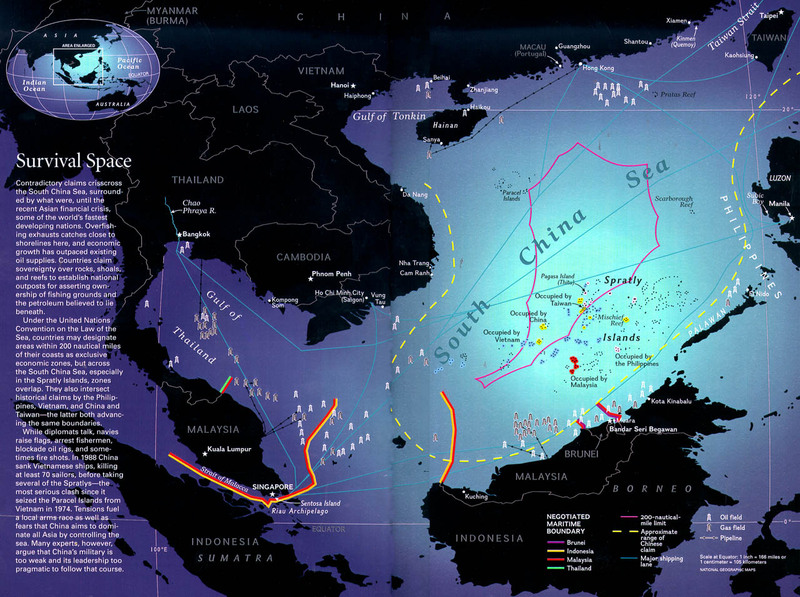 The US could mop up the Chinese military in the South China Sea in short order. However, the cost economically would be unbearable. This is why you should never be indebted to a foreign power, and under no circumstance be indebted to a foreign power who happens to be your chief strategic competitor in the world. The situation the US finds itself in with China today will in the future be a case study of how not to conduct a nation’s policy at the military, political, and economic level. Recently word came out of North Korea that said the regime was planning on using EMP (electro magnetic pulse) weapons in any future war with South Korea. EMP blasts have the ability to knock out most if not all electronic circuitry in the blast radius. Some of you may recall that this blog has done several stories about the effects of EMP blasts. Recently Newt Gingrich compared the power outages around the 4th of July as similar to what a small EMP blast would do. To sum it up an EMP blast can send the target area back to the stone age. North Korea already has nuclear weapons ( which when detonated produce a massive EMP blast wave) so the threat has to be taken seriously. However, for now it does not seem clear if they have a safe, effective way to deliver the nuclear warhead to the upper atmosphere to detonate it where it could cause the most damage to the south. This is because of their recent missile test failure, which has done real damage to the credibility to the North’s threats. The fact that China neighbors North Korea might actually keep them from using this until they can accurately fire the missile, can you imagine the Chinese reaction if the missile veered off course and detonated above their country sending half of China back to the dark ages? Having said that the North has had successful missile launches in the past so this is cause for concern.